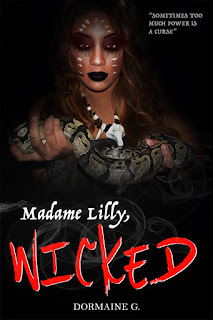 DormaineGblog: Madame Lilly, Wicked (Vol 4) Cover Reveal! 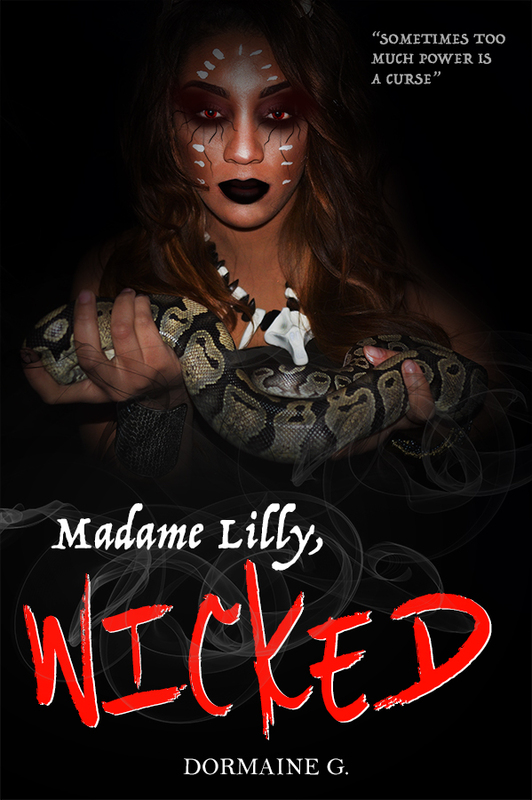 Madame Lilly, Wicked (Vol 4) Cover Reveal! 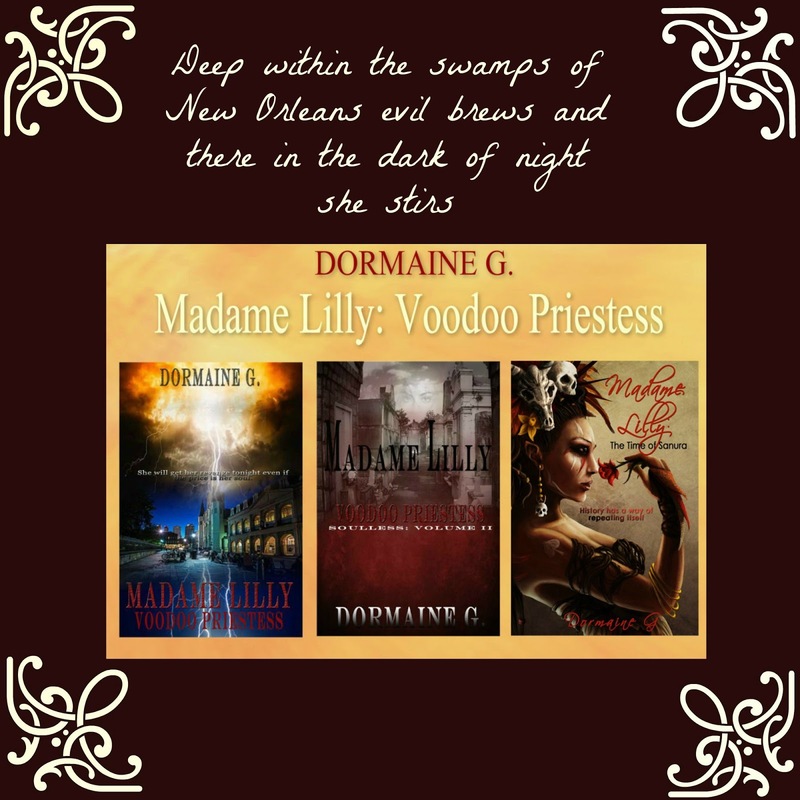 It's 1890 in New Orleans, a time of rich none men, sprawling plantations, Voodoo, high class parties and the unspoken Placage. Amidst the thick heat, magic and sorrow, a beautiful Creole woman exists in this cruel world. Although born free, she never knew life without the call of a ‘Master’ – until now. 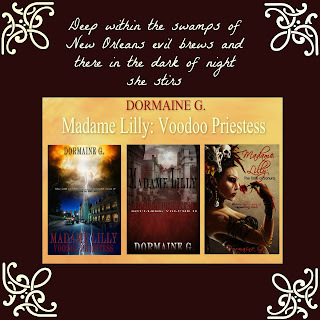 Blessed with an ancient power, Madame Lily has an agenda that has galvanized her into the deepest reaches of High Society and to the darkness that is swirling with Voodoo. Elijah is a First Made Protector tasked to guard and cleanse the world of the evils that roam. He spent millennia with only goodness in his heart until cursed – one meant to corrupt his very soul with love, obsession and infatuation… for Madame Lily, a woman that should rightfully be his adversary. Drawn together by fate and magic, these two forces face off and sparks fly. A love that never should have been is born – a love that may change everything for both of them.